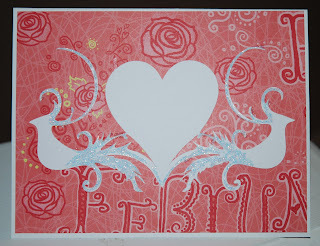 Update: The Valentine's Day Cards Blog Hop is now over, so I'm editing the original post for the sake of brevity. I will leave up all 16 of my cards for you to see, but I'm taking out blog info and editing down the recipes for each card. If you need more info on how to make each, please send me an e-mail at cardmonkey@comcast.net. Well Ellen - you have been a busy little monkey! All are great cards but I think I like Love Stretch the best. I love that you used a "bad cut" for it and I love the colors and the simplicity. I am already a follower! Oh, I want to win the Preserves cart - been dying to have that one! Have a loverly weekend. WOW!!! Ellen I am so impressed with each one of your cards. 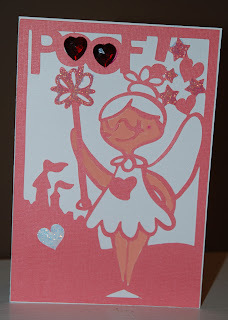 I have to say that I LOVE the cards you made with "Fairy Cut". My favorite would have to be #6 "Love Tree". When I scrolled upon that one, I said "wow" out loud and my husband looked up wondering what I was doing :) #14 "I'm Wild About You" and #15 "You're this cat's meow" come in at a close 2nd. Wonderful job. I've got 3 favs.- Love Tree, Love Trio, & Love Stretch. I'm a new follower. And all your cards are great. Very hard to pick. I like Love Trio, Cat's Meow, Love Birds, Love Flower, and I think I really like the Love Tree, it's very cute and yet so simple. Great job on the hop and thanks for the opportunity to win. Wow, Look at all those cards. Love them. You are amazing. I am your newest follower. 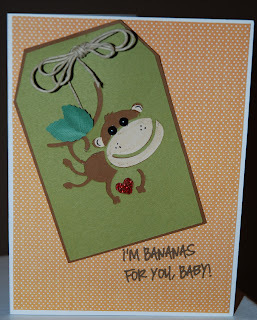 all your cards are lovely :) but my favourite is the first one 'I'm bananas for you' its so cute! OMG! How do I pick just one for a favorite!?!?! 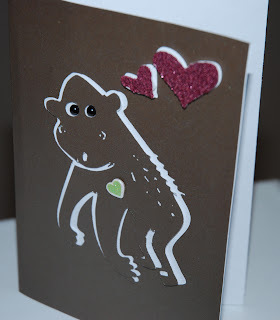 The monkey cards are great (I will have to tell you about the monkey nickname in my family sometime) I always love the simple ones like the unconventional colors card . . . things I know I could create. The love tree is awesome. 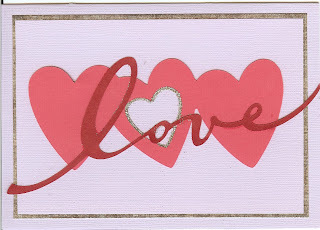 I could see putting the phrase "My love for you grows more and more every year" on the inside of that card. Love you, and your cards! 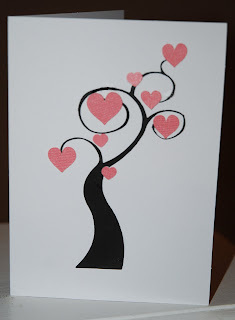 All of your cards are beautiful, I exspecially love the Love Tree one, yes, it simple but the concept is adorable! All your cards gave me amazing inspiration! Thank you so much for hosting and sharing your adorable creations! Contact Info: incase I get lucky enough to win blog candy! It was a hard choice, but my favorite has to be the Love Tree. One of my hobbies happens to be genealogy. 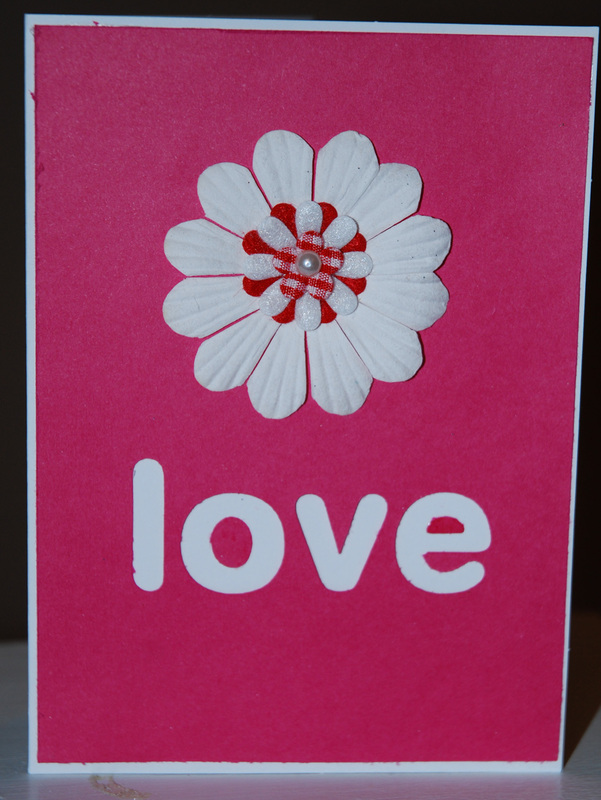 This simple card would be the perfect fit for any family member. It would even be easy to make into a simple family tree by adding names to the hearts. How cute! While all of your cards are great I am partial to "Romantic Heart." 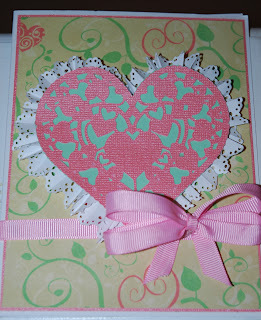 I love the pink & green color combo and the lacy heart. 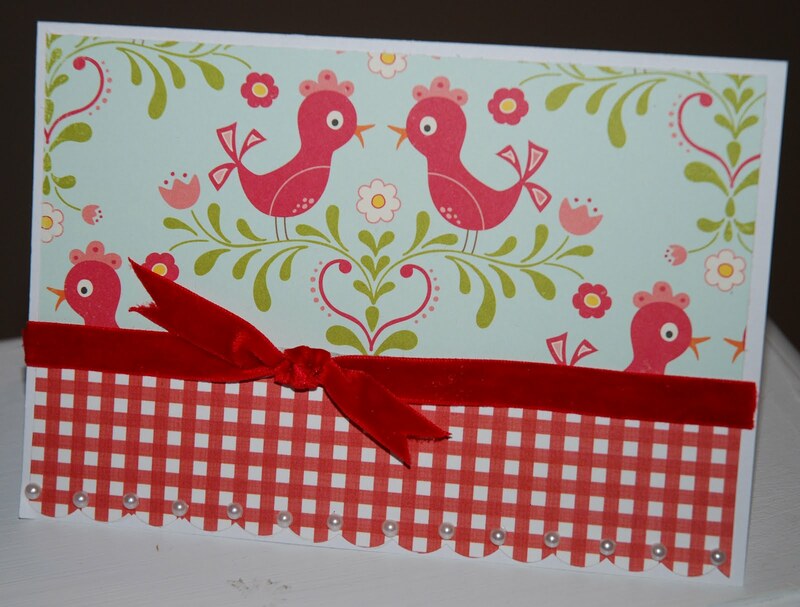 Lots of very pretty cards! I have 3 that make my favorites list. Having to pick one, I would say that the "Love Birds" is my favorite. I like how you used the paper as the design, super cute. I just found your blog from a blogger that I follow in your hop line-up. Thank you for sharing. Great cards!!! But my fav is #3. Love all the details and the colors. 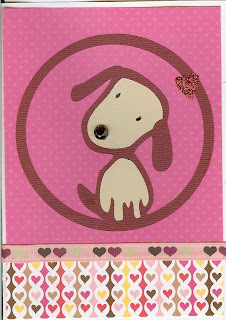 Hi Ellen, Thanks for hosting a fun Blog Hop. It's been an honor to participate. I've been trying to pick a favorite card and I really can't pick just one. They are all so unique in there own way. I've never considered a cutting software but I might like this one. I look forward to seeing you post on it. Thanks again. Hi Ellen! I'm a new follower...what a fun hop! You have outdone yourself, girl! All your cards are great, but I think "Love Tree" is gorgeous and my favorite! Thanks for this super fun hop! Its so hard to pick but #3 and #16 are my favs! Thanks for hosting this hop! I am a new follower and I love #5. I have to say the kiddie kissing and the love tree! 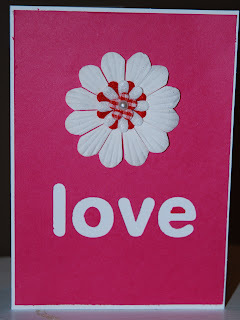 although I think hubbie would prefer the stretched love so thats the card I'm making for him! Can't wait to see more about the new software! I've never tried the others but I gotta admit you have spiked my interest more than a little! I love that swirly heart tree! So, so cute! Numbers 3. Romantic heart..Learned a new technique..The lace was really neffty..6. Love tree was really awesome..very simple I love that!! and then 6.The Love tree very elegant and simple I think that one is one of my favs. 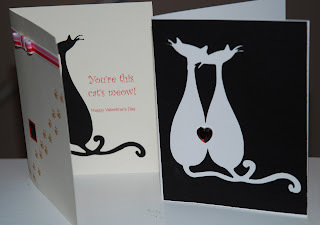 But if I had to choose 3 cards I would pick number 7 - Love Trio because I love pink and ribbons :) , my second choice would be number 15 - You're this cat's meow, I love cats (I have 5!) 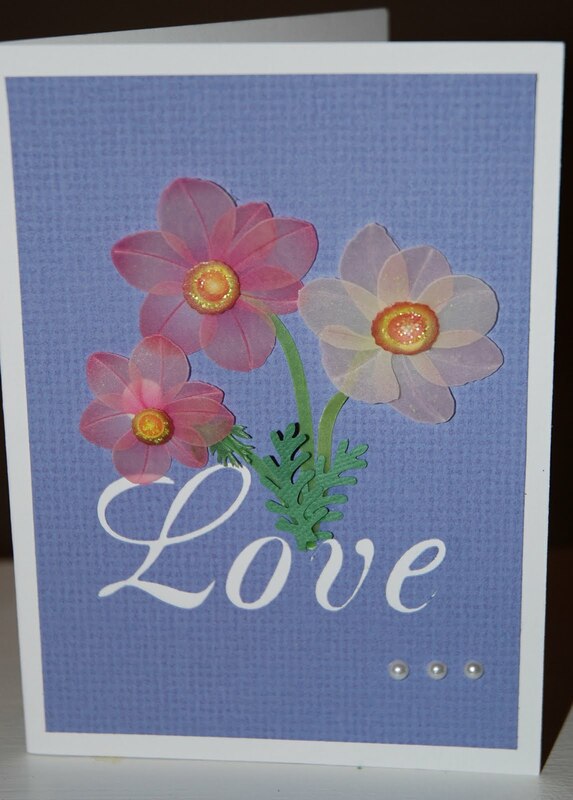 and last but not least number 16 - Floral Love, I just adore the flowers, so cute!! Thank you for sharing you work with us. 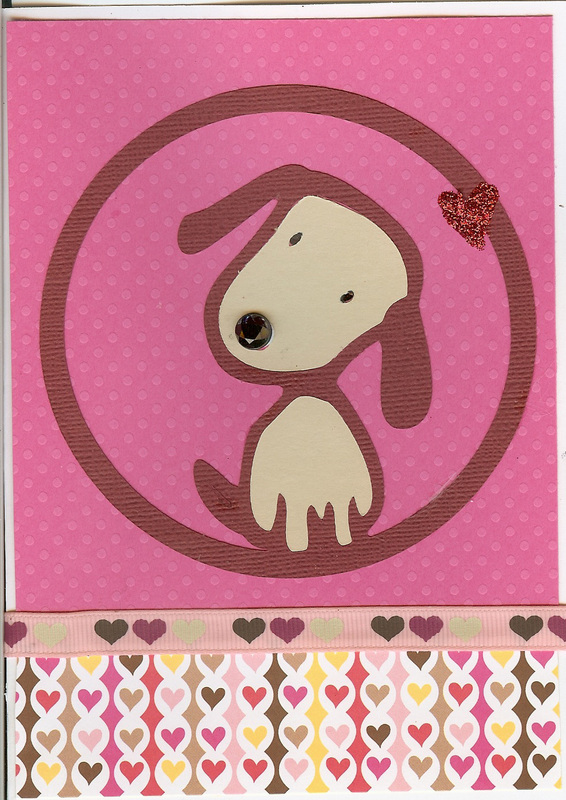 You make amazing cards! The Monkey Tag Card is defiantly my favorite. Every part of it meshes well. Number 6 is my second Fav. Simplicity is beauty. my third choice is number 15. I am a cat lover and this is purrrrrfect. If I won I would choose elegant cakes. Thank you so much for sharing all these beautiful cards. There are 4 cards that I really, really like. But I am going to say the *Cat's meow*. I love how you used both parts of the cut. Oh and I am now your newest follower. I double checked, nope can't do it. thanks for putting the hop together! I too would like to thank you for all of your great cards. My favorite is your Tree of Love and Love Birds both are just soooo cute. I'm also a new follower as well. All of your cards are great but my favorite is probably #14. If I were to win, I would like the Spring Holiday Card cartridge. Thanks. Hi! Your blog is AWESOME!!!! Loved looking thru your past posts! My favorite card is the Love Tree. This is SO NICE and SIMPLE!!! Thanks for the opp to win! Wow! 16 cards!!! You are an overachiever! You're setting the bar high for blog hops in the future! Love all the cards, I think I like #1 the best because it's so cute..... but i do really like the kitty one too... Thanks! All of the cards are great, but I like #7-Love Trio the best. It just caught my eye and I really like how you used the off-cut part. I love them all... 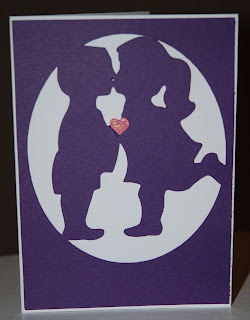 I specially like the two monkey cards and the love tree. The monkey ones because I have a three year old son and we call him monkey, Most the cards we buy/make him have something to do with monkeys. Also the Love Tree is very pretty and I love the black and pink together. Fantastic Job on all the cards, my favorites are Romantic Heart,Floral Love and Love Stretch. Wonderful! I like all of these but I love the monkey the best! Number 2 and 16 are my favs. I am a follwer already and just love your work. Thanks for starting this blog hop. Where do I began? They were awesome!! But I think my all time fave was the tree. Simple but elegant. I think if I didn't work I would be reading and scrapping all of the time. Thanks for sharing your talent. All the cards are lovely! I voted for the LOVE Trio...but the Love Tree was a very close 2nd for me! Just found your blog and loving it! 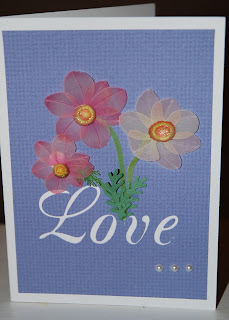 What a tough decision, they all were fantastic cards but I ended up choosing Floral Love, thanks for the hop!! I'm so glad I stumbled across your blog! Your designs are fantastic and I can't wait to spend some more time "digging" into your blog. I'm a new followers. My favorites of your designs were the Love Tree and Love Stretch. I loved all of your cards.. think I like the love tree the best. I am really liking the fairy cut. Great job Ellen!! My favorites are #1 Monkey and #6 Love tree. I have a little monkey in my house too! 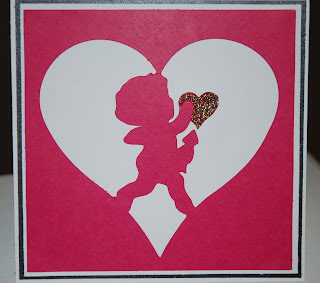 Thanks for having Taylor and I on your blog hop! Nice job on all of the cards! 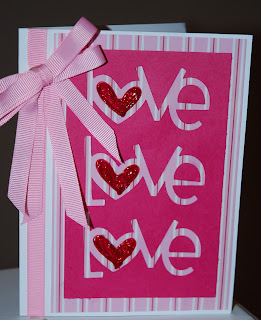 My favorite is the Romantic Heart card...just love those lacy hearts and the lace border you put under it! I'd love to win the MS Elegant cakes cart...thanks for the chance! Love the tree card it really stands out. WOW! WOW! WOW! You have been busy! I am partial to the monkey card! We call our youngest "monkey" so that would be a perfect one for him! OMG! Busy is not the word for it, my very favorite is the first one, I love that darling little monkey! Would love to get my greedy little paws on the Martha Stewart Cartridge. Have a wonderful weekend and thanks for the great hop! Awesome blog hop! Thank you! Great hop and fabulous cards you've posted! I have to say, there are two that I like the most- the Fancy Birds is gorgeous blingy, great papers/patterns, swirly, the whole package but the Love Tree is wonderful in its starkness! I'd have to say Fancy Birds is my fav but that's only at this second- ask me again and I might change my mind! :) Thanks for the chance and putting together such a great hop! New Follower!!! I love all the cards they are just adorable!!! My favorite though is,the "ROMANTIC HEART" I like the colors and the Lacy Effect. 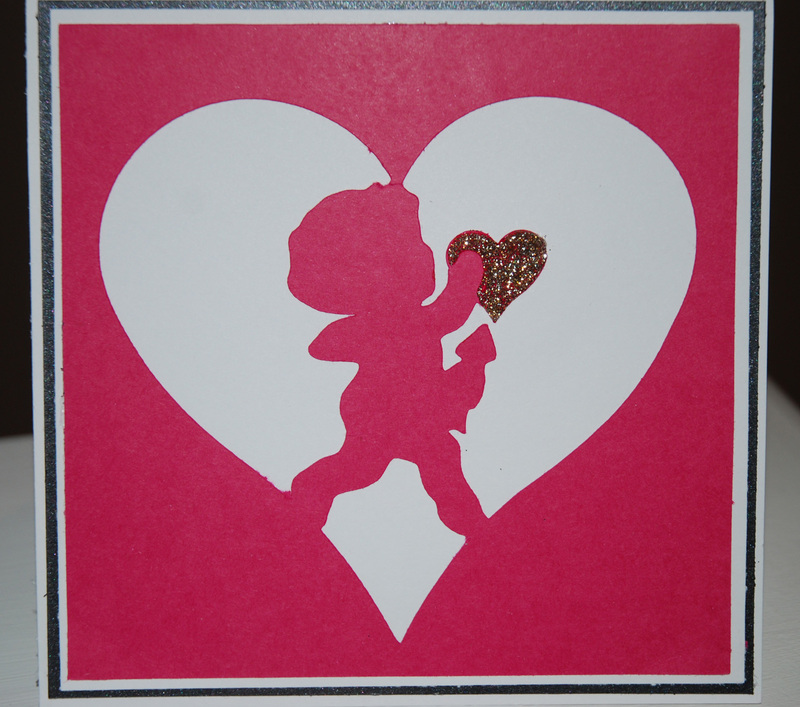 I may just copy you and make this one for my wonderful husband and leave it for him to find Valentines Day!! Thank you so much for sharing all of these wonderful cards with us! Oh, Ellen! You spoil us!!! :) I cannot believe you made so many amazing cards!!!!!!! I really do love them all, but the 7th one: Love Trio is my absolute favorite! And I am so intrigued! I can't wait to hear what you think about Fairy Cut!!! I bought SCAL on sale (before I even got my Expression) last year at this time, but I was in the process of moving and now am trying to get my craft room up & running. Once I do, I plan to get a new desk top. So I have never tried Sure Cuts a Lot. In the meantime, Make the Cut came out and everyone raves about it! So I am so tempted to buy that before I even learn how to use SCAL (if MTC is so much better and easier like most say)-wasteful, I know, but if what they say is true, I'll probably get more use out of it. Now there's another contender: Fairy Cut. I will be sure to check out your review! Even if I had the luck of the Irish, I don't think I'd be lucky enough to win again, but I forgot to tell you that I would prefer to win Martha Stewart's Elegant Cakes!!!!!!!!! 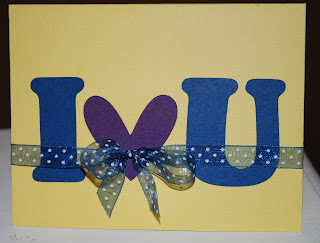 I love, love, love all of the borders (similar to those made with her paper edgers) that are included! THANK YOU to all the wonderful fellow card and papercrafters who left comments and sent inspiring e-mails about the hop, and my stop. I sincerely appreciate hearing from you!! You're more than welcome to continue to leave comments here, as I'll leave up this post forever and a day. However, I closed the comments at #68 Rachel Miller's -- midnight Eastern time on Sunday, 1/23 -- to be eligible for blog candy. (Sorry, Jennifer!) The lucky gals' names have been posted on today's blog, and each has been contacted via e-mail and a blog post to her blog. If you're a winner, please contact me within a week (by 1/30, midnight) so I can get out your prize; if you snooze, you lose and another name will be picked at random. THANK YOU AGAIN for participating! I will be hosting another hop next month, so please be in touch if you'd like to be a stop along the way.